Although we’ve been enjoying an unprecedentedly warm February, it doesn’t mean that quintessential winter Canadian sports are out of the question for fun and exercise this season. A good old-fashioned Canadian winter isn’t absolutely necessary for many winter sports. Open to the public, the UTSSC provides the opportunity for everyone — from those who have participated in winter sports for their entire lives, to people who have never seen snow before — to partake in some of Canada’s favourite pastimes. The club’s upcoming reading week trip — five days at Mont-Sainte-Anne and Le Massif — is the UTSSC’s main event and promises authentic winter conditions. The Varsity sat down with the co-presidents to discuss how the club plans on promoting winter sports and how undervalued winter sports are on campus. 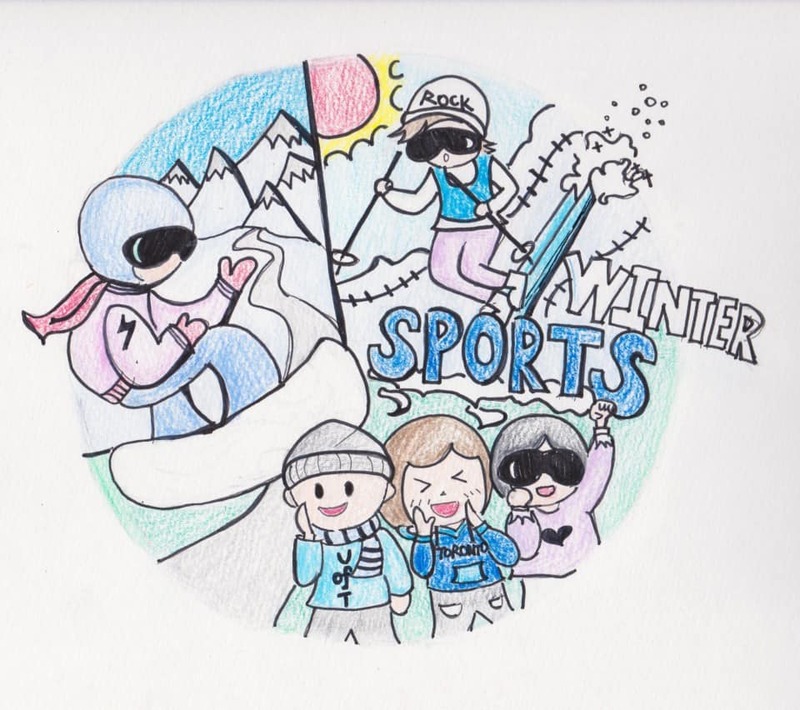 The Varsity: What are some of the benefits of winter sports that students may not be aware of? TV: How does the UTSSC promote winter sports on campus without a crucial element of winter: snow? TV: Do you find that the cost of winter sports could be a barrier as to why some people do not participate? TV: Do you get a lot of people joining the UTSSC that have never skied or snowboarded before? How do you ensure they have a positive experience? UofTBog team photo. Courtesy UofTBog. The University of Toronto Concrete Toboggan Team (UofTBog) is a Skule club that designs, builds, and races in the largest engineering competition in Canada. The goal is to create a fully functioning, five-passenger toboggan complete with mechanical braking and steering systems, that can maneuver and speed to the bottom of a mountain the fastest. The catch, however, is that the skis of the toboggan need to be composed entirely of concrete. The 2016 team, composed of 30 engineering undergraduates, arrived back from the five-day competition in Ottawa on January 31. The competition was the culmination of 10 months of hard work that the team had devoted to developing their unique design. The competition, which was inaugurated in 1972, is known as the Great Northern Concrete Toboggan Race (GNCTR); it brings together over 21 teams from across Canada, and one from the US. Attracting over 500 students, all of whom gathered at Edelweiss Valley in Wakefield, Quebec to put their sleds to the test. 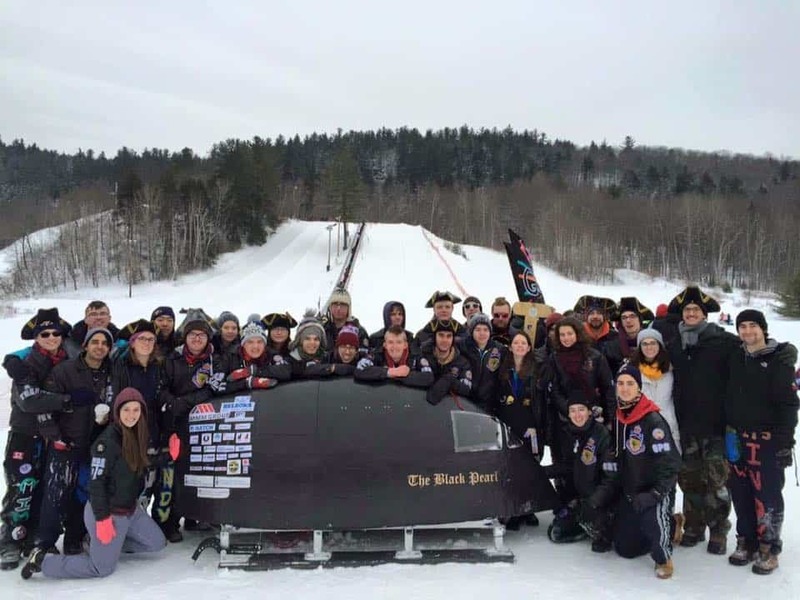 U of T co-captains Matthew Frade, a fourth year industrial engineering student, and Ozan Coskun, a third year mechanical engineering student, said that their most memorable moment from the competition was watching their sled, The Black Pearl, complete its first run. 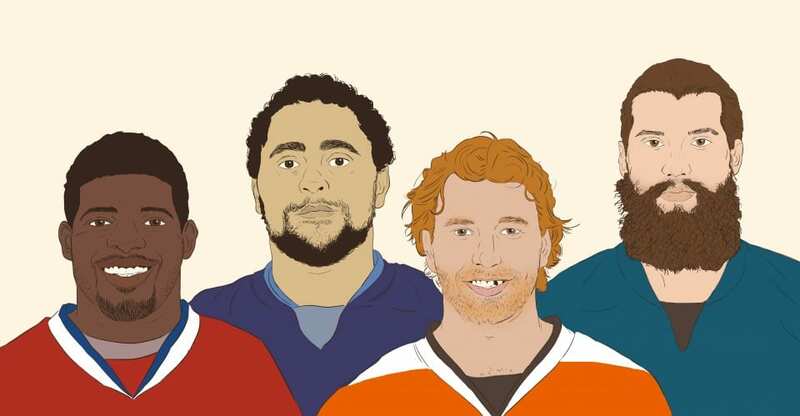 The UofTBog team have been strong contenders in the GNCTR every year since the ‘90s. This year the team took home both the most original award and most innovative honours for their carbon-fibre composed toboggan cage and pilot-themed design. The team also placed in the King of the Hill competition, taking home third place for the fastest toboggan. If you were wondering how fast a concrete toboggan can go, or how teams bring their sleds back up the ski-hill, Matt and Ozan note that their safety board reviewed design reaches 50 km/h and further, and that they employ a snowmobile to lug the 275lb monster back up the hill. When asked why they take part in this unique activity, Matt and Ozan note that like most engineers, their team takes great pride in a challenge, the innovation required, and the practical application of the skills they’ve gained through education. The GNCTR has an entire component dedicated to showing the most school-spirit, one award the UofTBog team refuses to give up without a fight. In typical Skule fashion, the high-spirited team engage themselves in the nature of the competition. The five-day experience comes complete with a hotel stay, visits to the downtown core, exhibitions, and plenty of beverages. The event also gives the contributing students a chance to network with other engineers from various schools across the country, in addition to providing both recreation and rivalry. Following the competition, UofTBog will begin preliminary recruitment in an effort to put together another winning team for 2017. Correction: An earlier version of this article misstated the years and majors of Matthew Frade and Ozan Coskun. The Varsity regrets the errors. Ultrastructure of electrically conditioned human cardiomyocyte cells. Courtesy Nature Publishing Group. The use of stem cells in regenerative medicine is not a new concept in the world of biomedical research. 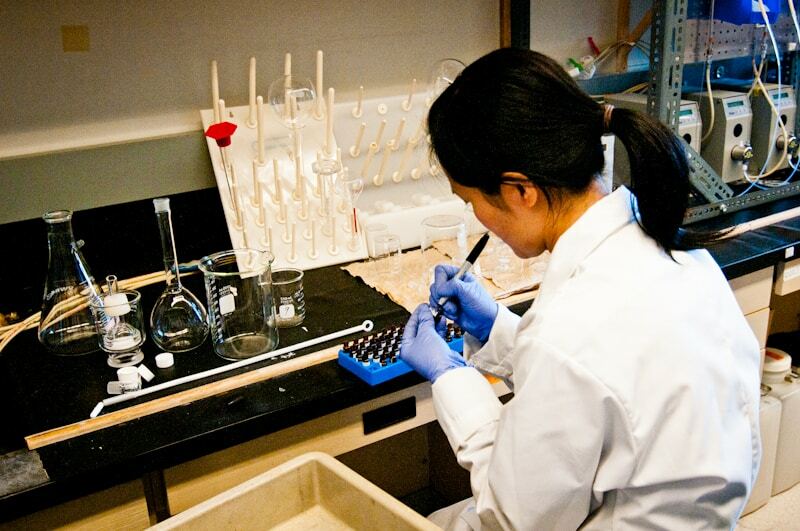 Developments in the field are often glamorized as the future of medical research. Yet behind celebrated discoveries, there persist lesser publicized mechanistic difficulties. With heart complications on the rise, significant research funding has been dedicated to the discovery of novel ways of using stem cells in the cardiovascular system. In the case of heart disease, the therapeutic success of engineered cardiomyocytes, although promising, has been limited by the history of arrhythmic complications associated with its integration into heart muscle. In a collaborative study conducted by Columbia University and the McEwan Centre for Regenerative Medicine at the University of Toronto, researchers are making headway in heart regeneration therapy. Recently, they have presented the first evidence for programmable cardiomyocyte beating — a potential method for reducing arrhythmia. 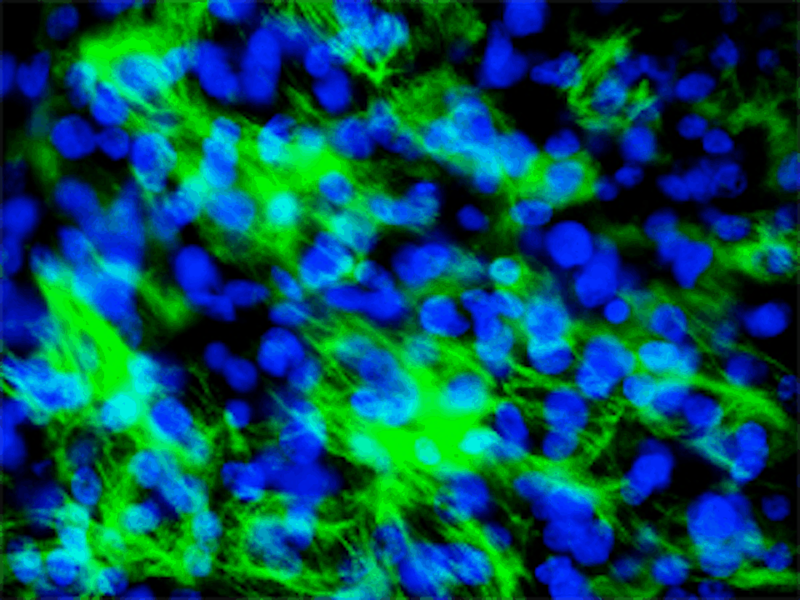 These heart cells, cultured from human embryonic or induced pluripotent stem cells, were subjected to electrical stimuli with varying frequencies. After only one week, the cardiomyocyte treatment and control groups showed significant discrepancies in cell organization and maturity. Aligned with previous findings, this study shows that electrical stimulation frequency alone can determine the maturity levels of cardiomyocytes. Unique to this study is the discovery of beating rate adaptation by the heart cells in response to a specified frequency of electrical stimulation. Characterized by rapid depolarization, an action that maximizes intercellular communication, and the expression of a gene called hERG, the ability of these cardiomyocytes to alter their beating rate to match stimulation frequency is remarkably long-lasting. Not only can this frequency-dependent adaptation be maintained for two weeks even after removal of the stimulus, it can also evoke a similar behaviour in unstimulated neighbouring cells. This conclusion is a step towards effective stem cell therapy for the heart. The “modelling of disease, reliable drug testing, and [the] therapeutic applications of cells,” as listed in the published paper, are all possible applications of this electrical conditioning technique. The researchers indicate that future studies will focus on the integration of electrically stimulated cardiomyocytes into damaged heart tissue. Picture this: U of T transfers you out because of your DNA. While it may sound like a twisted joke to most, this is exactly what happened to a Californian student back in 2012. He was told that because of his genes, he could no longer attend his middle school. 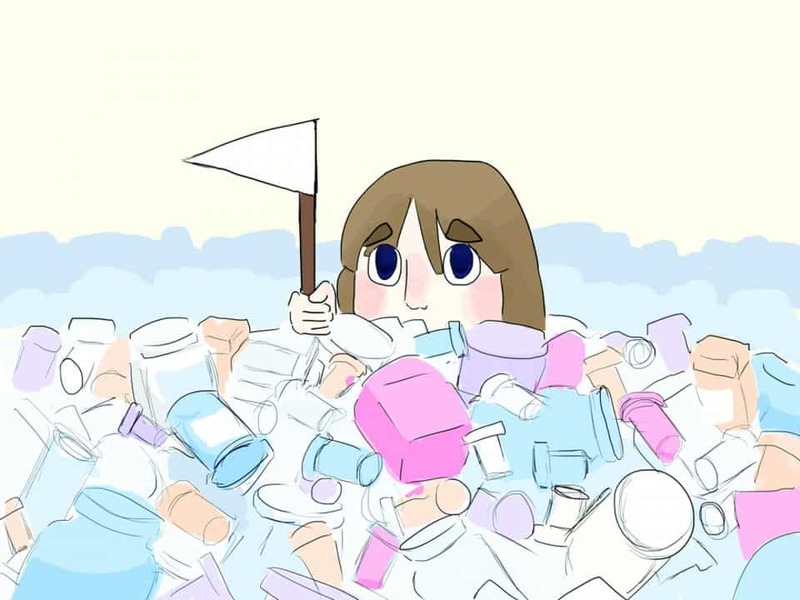 Although he was allowed back to school after his parents took this act of ‘genetic discrimination’ to court, it seems farfetched that a ruling was ever needed to resolve the issue in the first place. “It feels like I’m being bullied in a way that is not right,” he commented in an interview with NBCNews TODAY. It is worth noting that the decision was made because of a potential health risk to two students suffering from cystic fibrosis. Bill S-201 is currently going through committee revision in the senate, after its second reading. It was first introduced in 2013 as S-218 and subsequently tabled, only to be reintroduced as the Genetic Non-Discrimination Bill by its sponsor Nova Scotia senator James Cowan, a long-standing liberal and lawyer by trade. Dubbed as “an Act to prohibit and prevent genetic discrimination,” it was first referred to the Standing Senate Committee on Legal and Constitutional Affairs and later to the Standing Senate Committee on Human Rights. S-201 prohibits “genetic testing of any person as a condition in exchange for ‘providing goods or services to that individual’” (3.1a) or as part of a contract. This ensures that the results of genetic testing cannot be collected or used without written consent, though it does not apply to healthcare industry professionals such as physicians, pharmacists, or researchers. The legislation pertains to giving citizens and employees the right to refuse genetic testing, the choice to disclose results of genetic testing, and the need for written consent if results are to be disclosed. This law would be enforced by a fine of up to $1 million and/or five years jail time if indicted; or up to $300, 000 and/or up to 12 months in jail for a summary conviction. It also includes provisions to various conventions including the Canada Labour Code, the Privacy Act, the Canadian Human Rights Act, and the Personal Information Protection and Electronic Documents Act. According to the bill, this is done: to extend the aforementioned rights to employees; to incorporate these rights into our human rights; to ensure our personal information now includes our genetic material; and to classify information from genetic testing as personal health information. 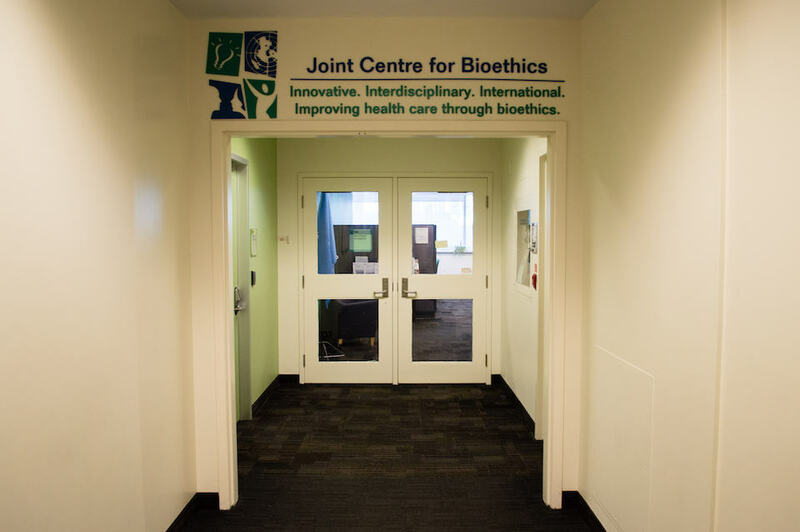 On a separate occasion, prominent scholars and researchers have also voiced their concerns for the urgent need for protection against genetic discrimination, including bioethicist Kerry Bowman of the University of Toronto. While this bill will be beneficial in advancing genetic research and personalized medicine as it is intended, cautions remain in the broader political landscape. A common complaint regarding U of T professors is that while they are excellent researchers, they don’t excel as educators. Yet, there are still professors capable of instilling a love for the subject that they teach in their students. 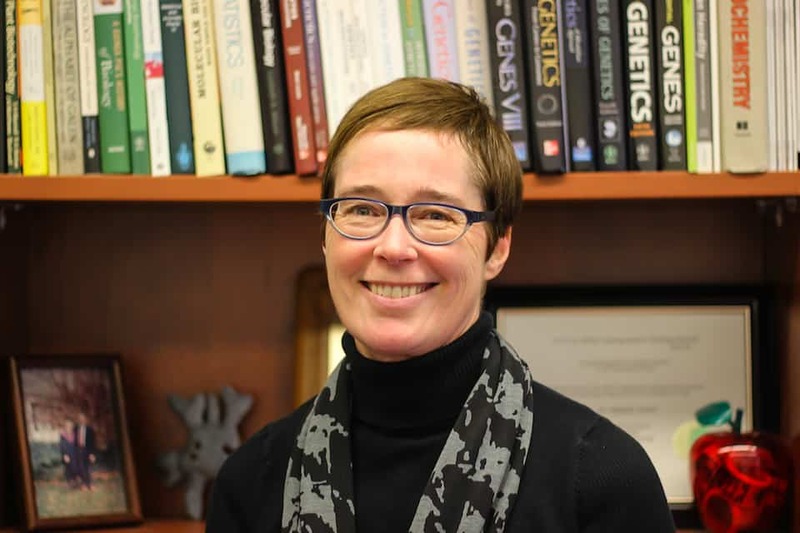 Dr. Michelle French of the Department of Physiology is one such professor. French, who teaches and coordinates a variety of courses in the department, has received teaching awards from U of T nearly every year since 2003. Most recently, she’s taught a course she designed, Biomedical Research at the Cutting Edge. A small seminar, the course focuses on teaching first-year students fundamental research techniques, and how to interpret biomedical research. The success and quality of the course is a clear indicator of French’s dedication to improving undergraduate education. In an interview with The Varsity, French discussed her approach to teaching, and how best to improve Science education at U of T.
The Varsity (TV): What drew you to science as a career? TV: What was your educational path like? TV: What difficulties did you face in your own science education? TV: How do you attempt to make science [easier] to learn for your students? TV: What do you like about education at U of T? What could be improved? TV: Why do you think you’re ranked highly as a professor with students? What could other professors do to improve their teaching styles? Correction (February 8th, 2016): An earlier version of this article incorrectly stated that Michelle French is a public health professor. In fact, she is a physiology professor.